I pretty much did review this last year. The only changes that stand out for me are some presentation modifications (allot of which I probably could have gotten for free from modders if this was a PC game) and some changes to the passing game. That’s it. 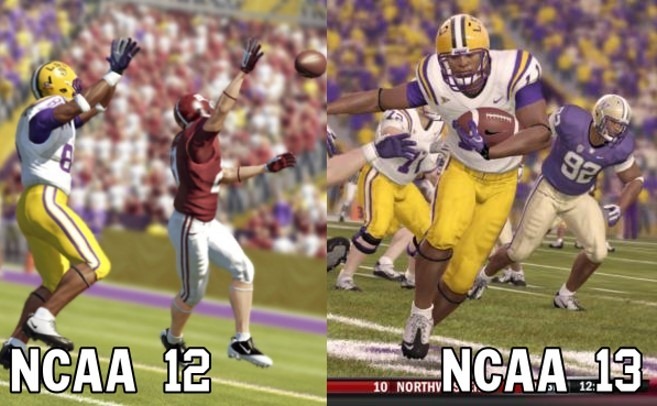 EA bullet points other changes, like those to the recruiting system in Dynasty mode but I’m not impressed. I enjoyed this game last year, but I just can’t get into it again. The modes are back and the same, allot of the menus feel the same, and if you played last year you’ll pretty much be right at home. The changes to the passing game do change up the offense, though. Leading receivers (which I would swear was already in last-gen games) and having to wait until they’re looking for the ball make playing quarterback actually allot more cerebral. It’s just too bad the defenders are still cheap ball hawks, swatting down or intercepting passes with alarming frequency. 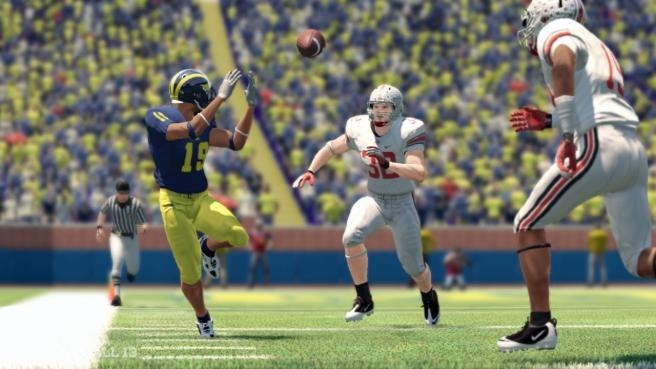 Visually, if you played NCAA Football 11, you would need a side-by-side look at the two to tell them apart, and even then it would be pretty hard. Here, let’s try one. I’m not convinced there is an appreciable difference. The truth of the matter is that we’ve reached the max potential for this generation of hardware – regardless of what Sony would want you to believe – and yearly iterations like this are down to making minute tweaks and changes, and are limited in what they can do to improve the game dramatically. To wow me, a yearly sports game is going to have to show me something different. From now until the next gen of hardware, I’m going to be coming down hard on these sports titles. If they’re just roster updates with a few small changes made so the dev can bullet point them on the box but don’t’ change how the game plays, they’re getting marked down. 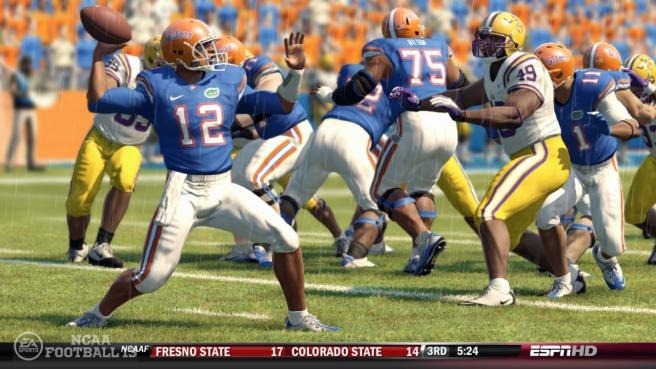 That starts here and now with NCAA Football 13. Sorry, EA.